On Monday 18 September 2017, took place the meeting of the Scaling Up Nutrition (SUN) Movement Lead Group, in the margins of the 72nd session of the United Nations General Assembly. 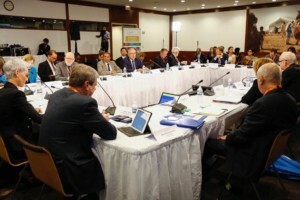 The meeting was held on the backdrop of significant challenges. After steadily declining for over a decade, global hunger appears to be on the rise, affecting 11 percent of the global population. Food insecurity is affecting several SUN Movement countries and the destabilizing effects of conflict and climate associated shocks are leading to mass people movements and fragility. 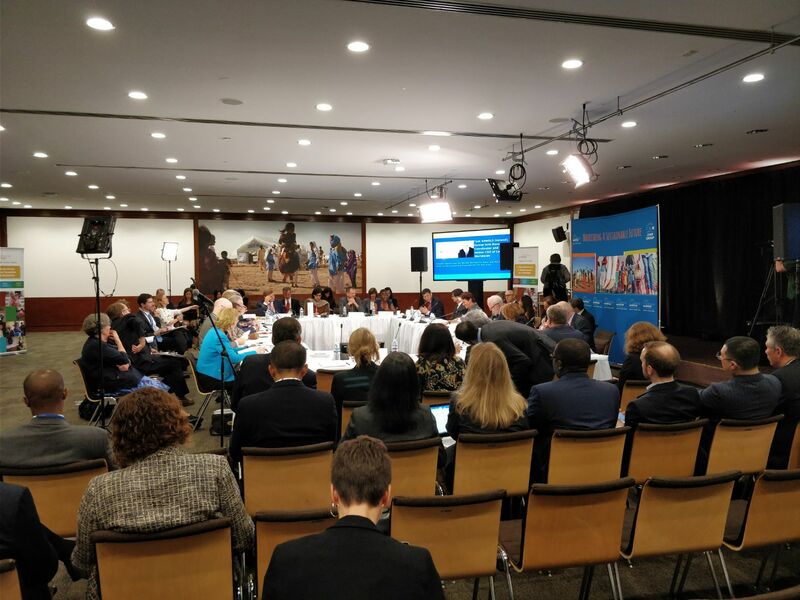 Coupled with growing urbanization and the drastically increasing double burden of undernutrition and obesity, the Lead Group meeting focused on how SUN Countries can practically address these issues. We have it in the power to rewrite history by sharpening narrative and ending malnutrition once and for all! • Strengthen leadership, political commitment and coherent action for improved nutrition across crises response and development plans, in line with the 2016 World Humanitarian Summit outcomes. • All stakeholders (businesses, civil society, donors, UN) in the SUN Movement should live up to their commitments and collaborate to address the multiple forms of malnutrition. • Champion the added value of the SUN Movement as a country-led, multi-sectoral, multi-stakeholder approach for preventing malnutrition in all its forms and achieving the SDGs, and an important platform for fostering south-south collaboration. • Strengthen the narrative on nutrition. Nutrition stands for protection, stimulation, human capital, resilience and yet women are most at risk and suffer from injustices. • Acknowledge that the double burden of malnutrition threatens multiple SUN Movement countries. While the SUN Movement focuses on undernutrition, tackling the rising threat of overweight, obesity and non-communicable diseases (NCDs) is essential. What have we achieved as a Movement? We have raised the importance of this type of work. Nutrition used to be just for experts but now it’s clear at the political level. And this group has played a clear role in that, in that it has a clear line to the political level. A hard line between humanitarian and development assistance is outdated. The SUN Movement Lead Group has the overall responsibility for the Movements progress towards achieving its objectives. They ensure the alignment of all actors with the Movements Principles of Engagement and aim to preserve the Movements unique country driven character.